Amani Askari Toomer (born September 8, 1974) is a former American football wide receiver and punt returner who played almost his entire career for the New York Giants of the National Football League (NFL). He registered over 1,000 receiving yards each season from 1999 to 2003, was a member of the 2007 New York Giants that won Super Bowl XLII, and holds Giants' club records with 9,497 receiving yards, 668 receptions and 54 receiving touchdowns. He also returned 109 punts for 1,060 yards and three touchdowns. As a rookie in 1996, he led the NFL with an average of 16.6 yards on 18 punt returns. Toomer was born in Berkeley, California, in 1974. His first name, "Amani", is Swahili for peace, and his middle name, "Askari", is Swahili for warrior. Toomer's father, Donald Toomer, played college football for Woody Hayes at Ohio State. His uncle is comedian George Wallace. Toomer began playing Pee-Wee Football as a lineman for the Berkeley Cougars and as a receiver, kicker, punter, linebacker and running back for the Richmond Steelers. Toomer attended De La Salle High School in Concord, California. As a football player at De La Salle, Toomer was selected as a Parade All-American and a USA Today All-USA player. Toomer enrolled at the University of Michigan in 1992 and played college football for the Michigan Wolverines football teams from 1992 to 1995. As a freshman and sophomore in 1992 and 1993, he started only three games (two in 1992 and one in 1993) and was principally used as a backup to the team's #1 receiver, Derrick Alexander. Toomer caught 16 passes for 238 yards in 1992 and 29 passes for 565 yards in 1993. As a junior in 1994, Toomer did not start any games for Michigan, as Mercury Hayes was the starting flanker in all 12 games. Despite technically being a "backup" to Hayes, Toomer in 1994 broke Jack Clancy's single-season Michigan record with 1,096 receiving yards. With Todd Collins at quarterback, Toomer was the 1994 Wolverines' leading receiver with 54 receptions for 1,096 yards, an average of 20.3 yards per reception. Toomer also finished the season as the Big Ten Conference's leading receiver with an average of 93.9 receiving yards per game. He had a career-high 179 receiving yards, including touchdown receptions of 46 and 38 yards, in the Wolverines' 1994 season-opening victory over Boston College. He also returned a punt 72 yards for a touchdown against Illinois. Toomer was a finalist for the Biletnikoff Award in 1994 and was selected by both the conference coaches and media as a first-team wide receiver on the 1994 All-Big Ten team. As a senior, Toomer finally became a starter, starting 12 games at split end for the 1995 Michigan team. However, Toomer was routinely double-teamed in 1995, opening the way for Mercury Hayes to lead the team in both receptions and receiving yardage. Toomer finished the 1995 season with 44 receptions for 758 yards and seven touchdowns. He had his best game of the season in a 52-17 victory over Minnesota, catching five passes for 174 yards and two touchdowns, including a career-long 75-yard touchdown reception from Brian Griese. In four seasons at Michigan, Toomer had 124 receptions for 2,144 yards (17.3 per catch) and 12 receiving touchdowns. He finished his college career ranked second (now fourth) in Michigan history with 2,657 receiving yards. Toomer was also used as a punt and kick returner at Michigan. He returned 46 punts for 384 yards (8.3 yards per return) and two touchdowns. He also returned 14 kickoffs for 306 yards (21.9 yards per return). Toomer was selected by the New York Giants in the second round (34th overall pick) of the 1996 NFL Draft. In July 1996, he signed a three-year contract with the Giants providing a $670,000 signing bonus and salaries of $269,000 in 1996, $336,000 in 1997, and $403,000 in 1998. In his first three seasons with the Giants, Toomer was principally used as a punt and kickoff returner. In his first NFL game, the opening game of the 1996 season, Toomer set a Giants' record with an 87-yard punt return for a touchdown against the Buffalo Bills. He returned a second punt for a touchdown that season against the Philadelphia Eagles, before injuring his anterior cruciate ligament (ACL) and spending the rest of the season on injured reserve. Toomer led the NFL in 1996 with an average of 16.1 yards on 19 punt returns. During the 1997 season, Toomer appeared in all 16 games for the Giants and returned 47 punts for 455 yards, an average of 9.7 yards per return. He registered his third punt return touchdown. He also caught his first touchdown pass on October 19, 1997, a 56-yard reception from Danny Kanell against the Detroit Lions. In 1998, Toomer again appeared in all 16 games for the Giants. He returned 35 punts for 252 yards, an average of 7.1 yards per return. He also began to see increased playing time as a receiver, registering 27 catches for 360 yards and five touchdowns. In Week 14, in a come-from-behind victory over the previously-undefeated Denver Broncos, Toomer caught a 37-yard touchdown pass from Kent Graham with 48 seconds left in the game as the Giants ruined the Broncos' dream of a perfect season by winning 20–16. Toomer later publicly acknowledged that his slow start as an NFL receiver was the result of exercise-induced asthma which he had hidden for years. After seeking treatment for the condition, his receiving career blossomed in 1999 and 2000. During the 1999 New York Giants season, Toomer became a starting wide receiver in all 16 games. That year, he broke the team record for receptions in a season (79), and his 1,183 receiving yards were the second highest in team history behind Homer Jones. In 2000, Toomer appeared in all 16 regular season games (14 as a starter) for the Giants and posted solid totals with 78 receptions for 1,094 yards and seven touchdowns. With Kerry Collins at quarterback, the 2000 Giants team advanced to Super Bowl XXXV (a loss to the Baltimore Ravens), and Toomer started all three postseason games for the team. He totaled 10 catches for 135 yards and a touchdown in the 2000–01 NFL playoffs. During the 2001 New York Giants season, Toomer appeared in all 16 regular season games, caught more than 70 passes, and gained over 1,000 receiving yards for the third consecutive year. Toomer had the best year of his NFL career in 2002. He set Giants' single-season records with 82 receptions and 1,343 receiving yards. His eight receiving touchdowns in 2002 was also a career high. His total of 204 receiving yards against the Indianapolis Colts was also the highest total for a Giants wide receiver in a 60-minute game (two players had higher receiving totals, but both of those games went to overtime). In 2003, Toomer started all 16 games and had his fifth consecutive season with at least 1,000 receiving yards. He totaled 63 catches for 1,057 yards and five touchdowns. In the second game of the season, a Monday night game against the Dallas Cowboys, Toomer broke Frank Gifford's club record for receiving yardage. The 2004 season marked the first time since Toomer's rookie year in which he did not score a touchdown. Toomer appeared in 15 games and had 51 catches for 747 yards, the sixth consecutive season in which he topped 50 catches and 700 yards. During the 2005 season, the Giants had a new starting quarterback, Eli Manning, who threw for almost 3,800 yards. Plaxico Burress took over as the Giants' #1 receiver, but Toomer still started all 16 games and had 60 receptions for 684 yards and seven touchdowns. Toomer's 2005 highlights included a last second touchdown reception against the Denver Broncos, a late game-tying touchdown at Seattle, and a fourth-and-goal touchdown catch against the Rams. Toomer started strongly in the 2006 season. In a Week 2 game against the Philadelphia Eagles, he tallied a career-high 12 receptions and scored two touchdowns to help spark a 17-point comeback. Physically exhausted by game's end, he had to be carried off the field by trainers. Toomer's season came to an end after eight games when he suffered a partially torn ACL in his left knee. In eight games during the 2006 season, Toomer had 32 receptions for 360 yards and three touchdowns. The Giants compiled a 6-2 record in the first half of the season with Toomer in the lineup, but fell to 2-6 in the second half without Toomer. Giants head coach Tom Coughlin noted, "There's no question Amani has a very positive effect on Eli." Quarterack Eli Manning also praised Toomer: "He has a way of being in the right place at the right time." Amani presenting George W. Bush with a personalized Giants jersey on April 30, 2008. During the 2007 season, Toomer returned from his injury to appear in all 16 regular season games for the Giants. He totaled 59 receptions for 760 yards and three touchdowns. On October 21, 2007, in a home game against the San Francisco 49ers, he broke Kyle Rote's club record with his 49th career touchdown catch. In the same game, he also broke Tiki Barber's team record for career receptions. The 2007 Giants advanced through the playoffs and won Super Bowl XLII over the previously undefeated New England Patriots. Toomer started all four postseason games for the team and totaled 21 catches for 280 yards and three touchdowns. On January 13, 2008, during the 2007 divisional playoff round, Toomer caught a 52-yard touchdown pass, his longest since a 77-yard touchdown on November 30, 2003. This catch broke the club record for most postseason receptions. Toomer had two touchdown catches in the Giants' 21-17 upset over the Dallas Cowboys. His first touchdown gave the Giants a 7-0 lead after he caught an 11-yard pass, eluded three tacklers and ran 50 yards for the score. Toomer also led the Giants with six receptions for 84 yards in the Super Bowl. In May 2008, Toomer and the Giants were invited by President Bush to the White House to honor their victory in Super Bowl XLII. The 2008 season was Toomer's last in the NFL. He appeared in all 16 regular season games, 12 as a starter, and caught 48 passes for 580 yards and four touchdowns. He concluded his NFL career having appeared in 190 games, 142 as a starter, with 668 receptions for 9,497 yards (14.2 yards per catch), and 54 touchdown receptions. He holds Giants' record for most career receiving yards, receptions, receiving touchdowns, and most consecutive games with at least one reception (94). In 2010, Toomer was included in the initial group selected for induction into the New York Giants Ring of Honor. Toomer was signed to a one-year contract by Kansas City Chiefs on August 4, 2009. He was released during final roster cuts on September 1. In 2011, Toomer and fellow former New York Giant Roman Oben joined MSG Varsity's coverage of "Friday Night Football." In 2012, he joined NBC Sports Radio where he is a co-host with Dan Schwartzman of "Going Deep with Amani & Dan", a nighttime talk show on the network. 1 2 3 4 5 6 7 8 9 10 11 12 13 14 "Amani Toomer NFL Statistics". Pro-Football-Reference.com. Sports Reference LLC. Retrieved April 13, 2015. 1 2 "Amani Toomer Profile and Stats". amanitoomer81.com. Amani Toomer. Retrieved April 13, 2015. ↑ "Learning and Teaching Never Seem to End for the Giants' Toomer". The New York Times. November 1, 2008. ↑ "Super Bowl ring to have company". Las Vegas Review-Journal. January 23, 2008. ↑ "Amani Toomer among top Spartans". ESPN.com. September 22, 2011. ↑ "Michigan Football Roster Database". University of Michigan, Bentley Historical Library. Retrieved April 12, 2015. ↑ "1992 Football Team". University of Michigan, Bentley Historical Library. Retrieved April 13, 2015. ↑ "1993 Football Team". University of Michigan, Bentley Historical Library. Retrieved April 13, 2015. ↑ "1994 Football Team". University of Michigan, Bentley Historical Library. Retrieved April 13, 2015. 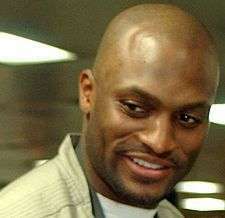 1 2 3 "Boomerang: Amani Toomer keeps coming back to Michigan". The Michigan Daily. September 7, 1995. p. 15. ↑ "Michigan rallies past Boston College". Spartanburg Herald-Journal (AP story). September 4, 1994. p. D4. ↑ "No. 11 Michigan 19, Illinois 14". Star-News. October 23, 1994. p. 4C. ↑ "1995 Football Team". University of Michigan, Bentley Historical Library. Retrieved April 13, 2015. ↑ "Giant rookie and rookie Giant: Wolverine alum wide receiver Toomer displays size, skill". The Michigan Daily. August 14, 1996. p. 15. ↑ "Michigan blasts Minnesota, 52-17: Toomer, Biakabutuka shine". The Michigan Daily. October 30, 1995. p. 1B. ↑ "Giants Sign Second Pick". The New York Times. July 22, 1996. ↑ "Toomer Shakes Jitters And Catches On Fast". The New York Times. September 7, 1996. ↑ "Giants Are Still Feeling Toomer's Injury Exit". The New York Times. December 6, 1996. ↑ "Calloway's Giant Play Stuns Lions in Overtime". Lakeland Ledger. October 20, 1997. p. C4. ↑ "Broncos Perfect No Longer; Giants Win". Lakeland Ledger (AP story). December 14, 1998. p. C1. ↑ "NFL's Amani Toomer wins big against asthma". USA Today. October 22, 2001. ↑ "Homecoming sweet for Parcells". McCook Daily Gazette. September 16, 2003. p. 12. 1 2 "The Quiet Giant Who Catches Passes, Not Praise". September 21, 2006. ↑ "Setbacks for Giants Spread as Toomer Is Out for Season". November 9, 2006. 1 2 "Toomer Thrives in Right Place at Right Time". The New York Times. August 19, 2007. ↑ "Setting Records Is Not the Priority for Toomer". The New York Times. October 22, 2007. ↑ "Giants' Toomer Excels With a Body of Work". The New York Times. October 18, 2007. ↑ "New York Giants Receiving Career Leaders". Pro-Football-Reference.com. Sports Reference LLC. Retrieved April 13, 2015. ↑ "Tiki Barber showered with boos at Giants Ring of Honor ceremony". New York Daily News. October 4, 2010. ↑ NFL.com Wire Reports (August 5, 2009). "Veteran WR Toomer practices with Chiefs after signing one-year deal". NFL.com. Retrieved 2009-08-05. ↑ "Chiefs release Amani Toomer". New York Post. ↑ MSGVarsity.com (August 25, 2011). "MSG Varsity takes a 'Giant' step forward". MSG Varsity. ↑ "Amani Toomer profile". NBC Sports Group. Retrieved April 14, 2015.